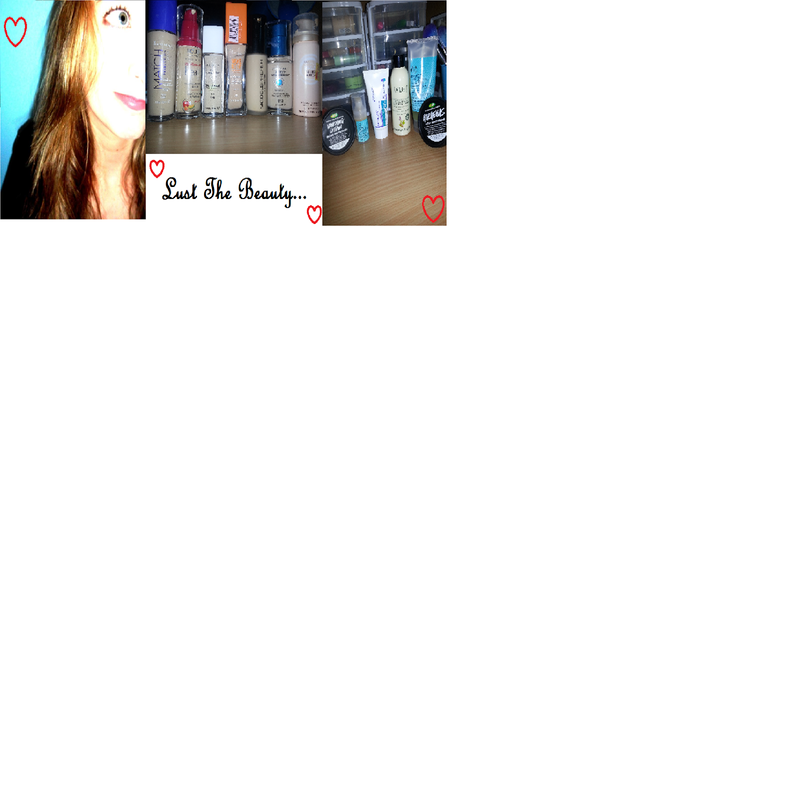 Lust The Beauty: Bronzer Bonanza: drug store vs high end! Bronzer Bonanza: drug store vs high end! As a beauty and makeup lover, I'm ashamed to say that I only own two bronzers. I know, I know...but anyway, one is considered to be 'drug store' and the other is higher end. 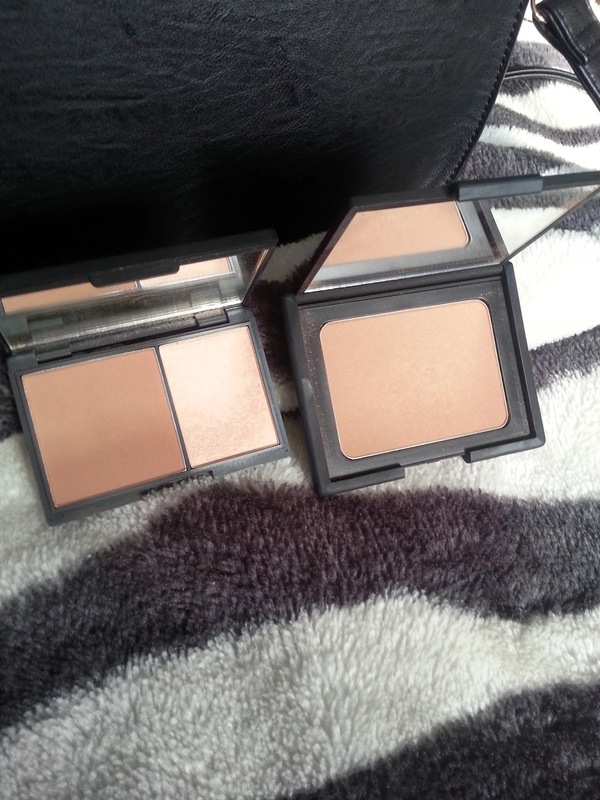 My drugstore bronzer is the Sleek Face Contour Kit in Light. This bronzer and highlight duo is absolutely the most perfect thing I've ever used. 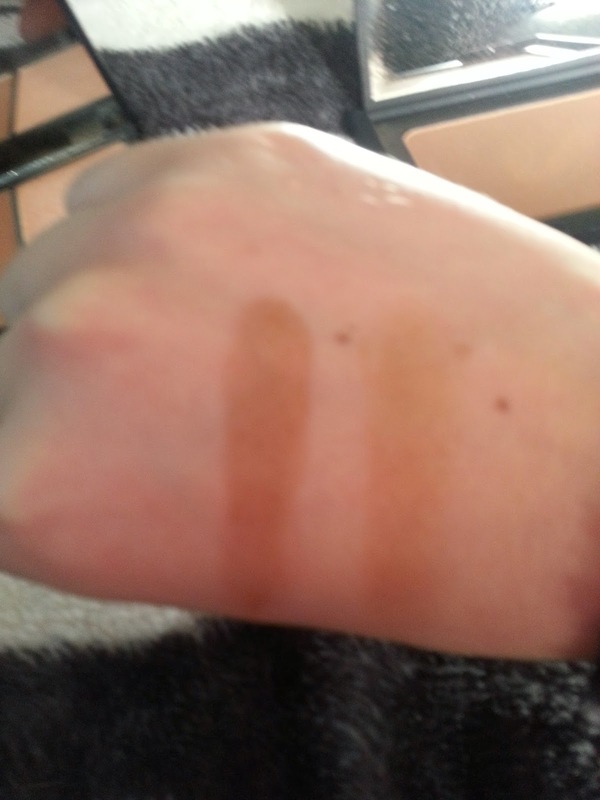 The bronzer is matte, which is great, and the highlighter is a shimmery champagne/creamy colour, and is gorgeous! As a girl with very ivory skin, the idea of bronzers scare me, because most of them look so orange! This one isn't orange, it isn't muddy, the pigmentation is perfect and usable, it's easily blendable and buildable. There isn't nothing I can fault on this product. 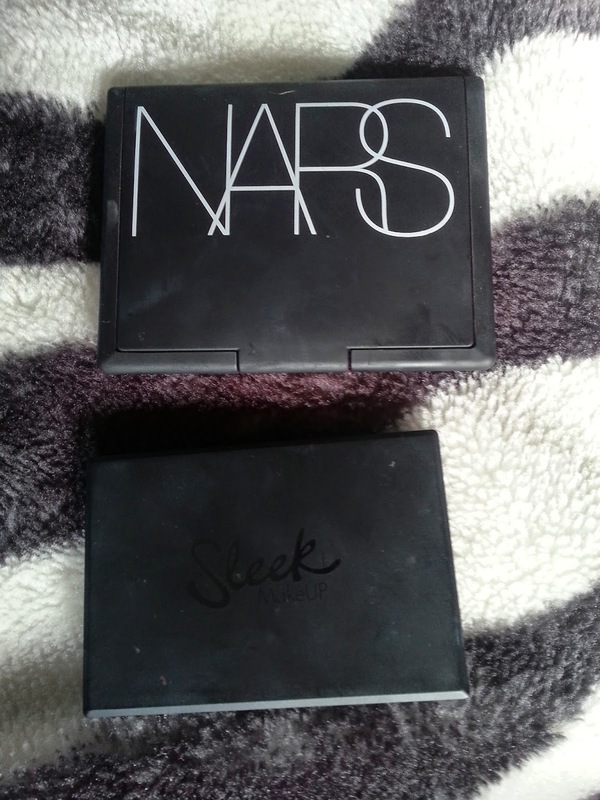 The high end bronzer is the cult NARS Laguna. Beautiful looking thing, it is. My photo of the comparison between the two isn't great, but Laguna is more sheer, more goldy toned, and slightly shimmery, but in that healthy-face glow way. It is slightly lighter in colour, which is better for day time use, and because of the slight shimmer, it looks great on the cheeks as a blush. At first when I looked at both of these together, I thought they were identical. But, infact, the use of the two, and pigmentation, finish and colour...are all different. Slightly, but definitely. I do prefer Laguna for every day, because it is a bit more sheer and glowy, but for night time contouring, the Sleek kit is absolutely awesome! I do use the highlighter for daytime though!